(Rome) Pope Francis now has a tiara. The special gift was brought to him by the Macedonian Parliament Speaker Trajko Veljanoski. Veljanovski was received by Francis in audience on Whit Monday. He spoke of an invitation from his country to the Catholic Church leader to visit the Balkan country. He recalled that Mother Teresa of Calcutta, who was canonized on September 4, was born in Skopje, now the capital of Macedonia. 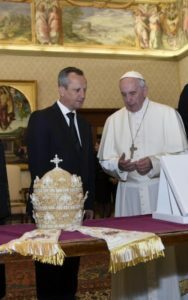 Veljanovski brought the visibly surprised Pope, a gift from the Orthodox St. George convent of Rajčica. The tiara was made by the nuns of the convent, crafted and richly embroidered with pearls from nearby Lake Ohrid. The pendilia, the two neck straps of the tiara, symbolizing the Old and New Testaments, were embroidered with the arms of Pope Francis. 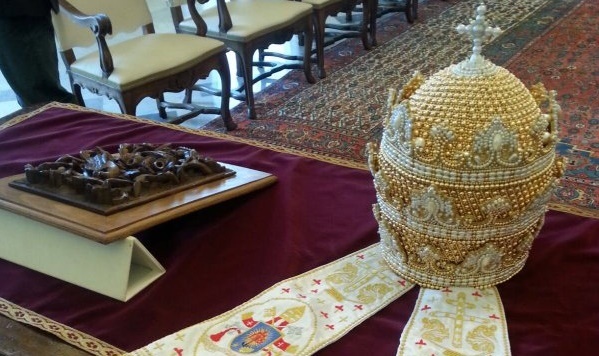 The Macedonian Parliament President was aware that the popes have worn no tiara since 1963. Pope Paul VI. was the most recent head of the church, who was crowned with the tiara. The Popes John Paul I and John Paul II did, although no longer crowned with the tiara, used it just as their predecessors before them as a crest. Pope Benedict XVI. was led at the suggestion of Cardinal Andrea Cordero Lanza di Montezemolo, the herald of the Holy See, to also not include it on his crest. Pope Francis followed him there. But the mitre, which is adorned with three golden horizontal rings, which forms in stylized form the three rows on the crown, representing the Magisterium, the jurisdiction and the ordained ministry of the pope as Vicar of Christ. Lake Ohrid had to do with the second visit on Whit Monday. That same morning, Pope Francis had already received the President of Bulgaria Rosen Plevneliev, Accompanying Plevneliev was the Bulgarian Orthodox Patriarch Neofit. The Bulgarian head of state gave the pope an icon of St. Clement of Ohrid. The monastery founder and Metropolitan of Belica and Ohrid, was a student of St. Cyril and Methodius. On Ohrid St. Clement had built the so-called Ohrid School. Pope Francis thanked the Macedonian and the Bulgarian delegation with copies of his Encyclical Laudato si and his apostolic exhortation Evangelii gaudium and Amoris laetitia . Incredible incredible gift, wow, even the Orthodox are essentially saying, "we can reunify but only if you start acting with the power of the true Pope". Bergoglio can't of course but that's another story, the symbolism here is everything. Beautiful. Let's hope Francis doesn't throw the thing out like Paul VI did, so a future Pope can wear it as is proper. Yes. I hope the next Pope might wear it....or the others in storage. I know Francis won't. Sadly. He could wear it, I could wear it but in both cases it would nothing because neither of us has the true power of the papacy. Pope Benedict was presented with one as well with traditional Catholics from Germany, he too did not wear it but if he had it would have meant something. Paul VI like so much other damage he did to the Church attempted to bring the papacy down in power by giving away the tiara. Except nobody cares about what an embittered wage slave would say about anything. Check out Pope's expression. Something tells me he won't even keep it, let alone wear it. Oh come on. Who knows what he was thinking. I believe he was surprised. Moved perhaps? They were just following the beatitudes - they saw he was naked and clothed him. Nice vitriol tancred and rant against the working poor. To be honest, you sound quite bitter. The only possible value your posts have is maybe providing me with an aggravation, a scourge to chastise me. Why not get a hobby, develop a prayer life perhaps? Read a book. Do anything but waste my time with your comments? Judging on your comment above deriding the "wage slave" which I know is a favorite insult of yours you might develop a prayer life of your own no? Say a rosary now and then? I've been pretty explicit about the impropriety of comments like yours, but roaches are gonna roach. I'm pretty sure that as a well-fed member of the lumpen proletariat, that you don't have a lot going on. Nice, succinct observation. May the Macedonian Orthodox be blessed and also move back into unity. The same for all the other Orthodox Churches. Forgot to express my gratitude and admiration for this extremely beautiful piece of work by the sisters. That crown is the expression of beautiful souls working out their salvation. Paulette vi threw it out. Now Francine the humble has it again. What the he'll is gonna do with it? Not so sure unity with Rome is a safe place to be. Probably give it to you, Pansy Boy. If that comment was meant for me--sorry I'm a woman and a decent looking one at that. Maybe Francine can give it to his housemate Msgr ("I Love Rent Boys") Ricca for dress up. Hoping that the Macedonians move back into unity with Rome is premature. For one thing, there isn't yet unity as to what Macedonia even is. For another, many/most Macedonian Orthodox aren't even in unity with the rest of the Orthodox world. Realistically, the tiara isn't a hidden message about anything it's simply a very nice gift. Cardinal Daneels was on record that a "mafia club" forced Pope Benedict to respond so there is no impropriety sir. 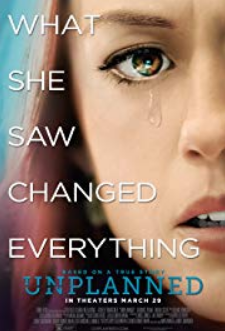 You don't like the message, you attack that messenger, that's Tancred's MO. And what's more in attacking the messenger your favorite refrain is to mock the poor. Best of luck to you and your blog, there is no reason for anyone to come here and read your re-posted stories which are then commented on by the bitter troll in chief. Can everyone calm down,apologize to each other,and be loving to one another,please? We Roman Catholics are being undermined and attacked by the enemy on an intense daily level. We should be nice and love each other.We are Roman Catholics not atheists.Did Jesus die a brutal painful death while our Blessed Mother watched helplessly with nothing but grief and sorrow just so we could attack and insult each other? Life is hard enough,we don't need to attack and slander each other. Please,be nice and love one another,our Lord is watching every move we make and hears everything we say. I love you brothers and sisters,please pray for my family and my soul. I will do the same for you all. You're no fun anonymous. Some of us enjoy the banter---even if it gets a might rough at times. Christianity is not all hearts and flowers all the time. Jesus made a corded whip---and used it. St Nicholas beat up an Aryan heretic. This is the non-canonical Ohrid Archbishop. It does not represent the Orthodox Church's position and the Archbishop is unlikely to unite with Rome anyway. Did Jesus and St.Nicholas cuss out and insult other catholics over trivial Internet comments? I agree with half of what you say but you must realize fighting for eternity requires tenacity. Insulting and demeaning fellow catholics in a comments box in the middle of the collapse of western civilization is not helpful. Jesus wasn't an emasculated version of yourself, you know. Whitened sepulchers, brood of vipers, anyone? I complimented Jesus and stated that he had tenacity. I just hope we Catholics will fix our issues and we'll get closer to the Orthodox Christians...we should cooperate together to help the Christians in the Middle East and Asia.